Some people in our house are very excited to see Santa make an appearance in a few short weeks... so, we thought we would make some milk and cookie fabric that we could put our cookies and carrots Santa plate on. What do you think? 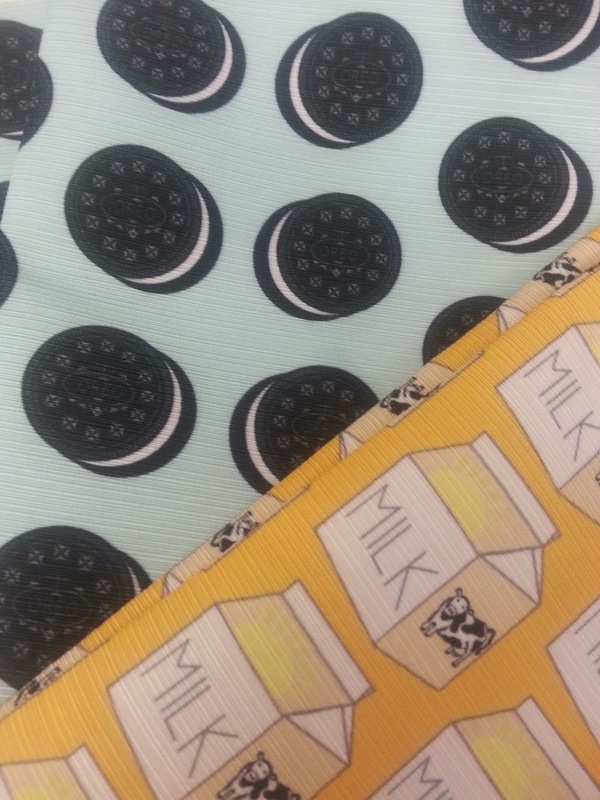 What else could we make with these fabrics? They are too cute to use just one day a year!